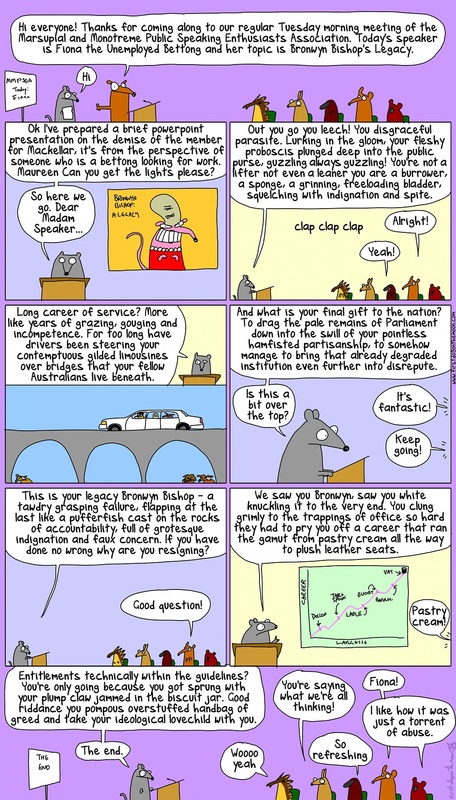 First Dog on the Moon Says Goodbye to Bronny ! Yep – brilliant and then some. Love it. First Dog reads my mind. Bishop – good riddance to bad rubbish. What’s happening with that investigation? At the end of the day is was fraud, surely charges must follow. Brilliant. Says it all really. Personally Tin Ears should have kept her there a little longer inflicting as much damage as she could.